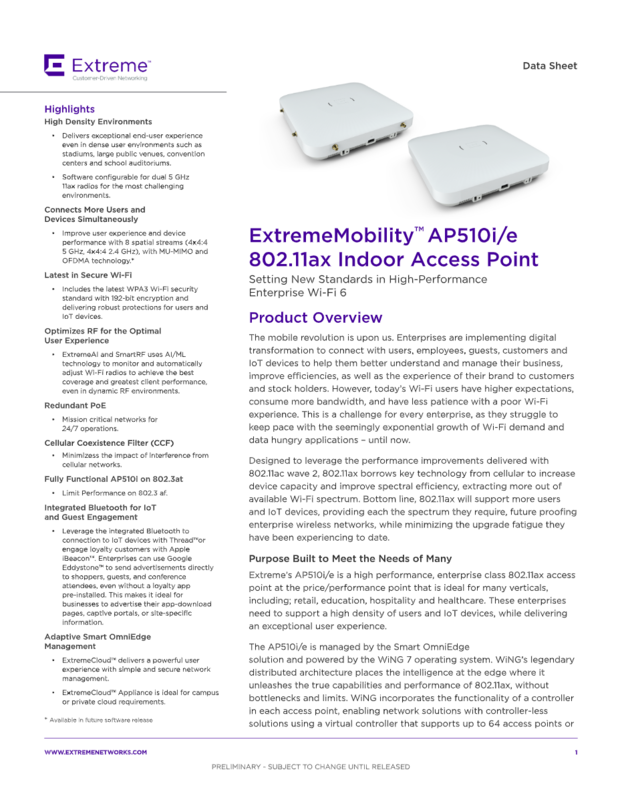 Designed to leverage the performance improvements delivered with 802.11ac wave 2, 802.11ax borrows key technology from cellular to increase device capacity and improve spectral efficiency, extracting more out of available Wi-Fi spectrum. ExtremeAI and SmartRF uses AI/ML technology to monitor and automatically adjust Wi-Fi radios to achieve the best coverage and greatest client performance, even in dynamic RF environments. 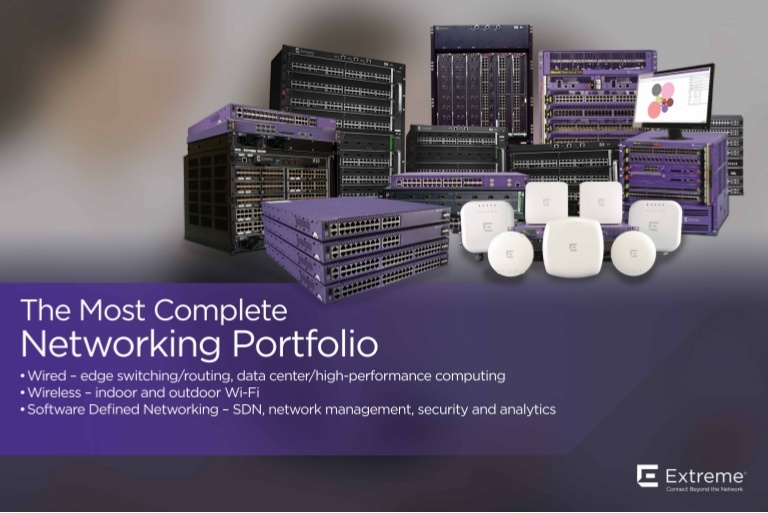 Whereas prior generations of 802.11n, 802.11ac wave 1 and 2, can be considered generational improvements, each building on the prior standard, the new PHY technology of 802.11ax adds a significant level of new technology which takes Wi-Fi networks to an entirely new level.